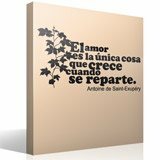 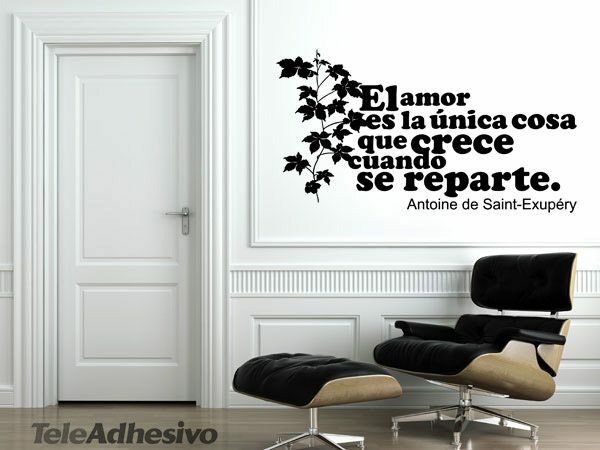 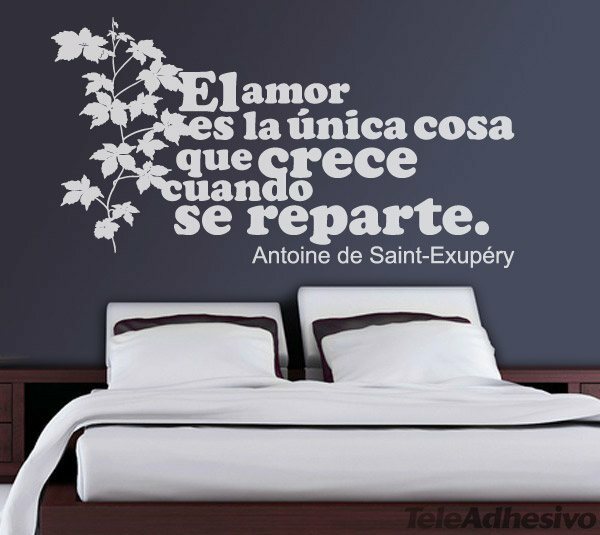 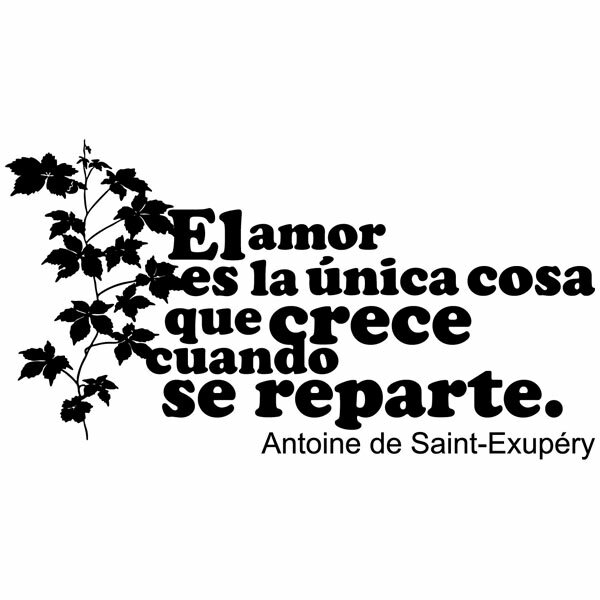 Wall sticker Amor Crece Exupery. Design of the phrase in Spanish: Love is the only thing that grows when it is distributed. 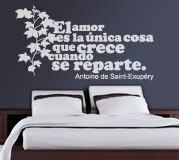 From the author: Antoine de Saint-Exupéry, was a French writer and aviator, author of the famous play The Little Prince. 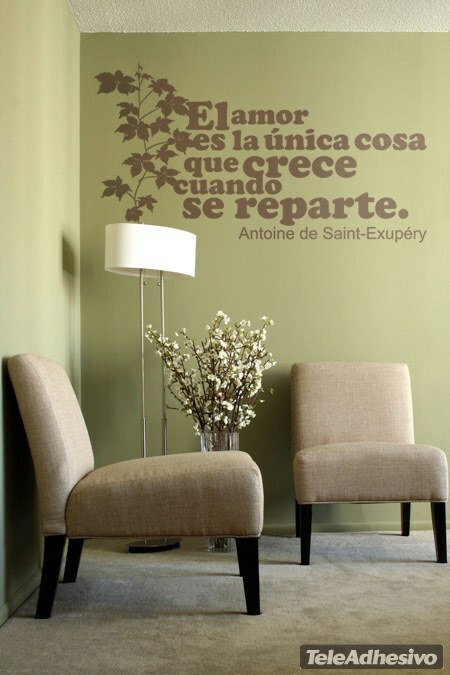 To the left of the design appears a branch full of leaves. 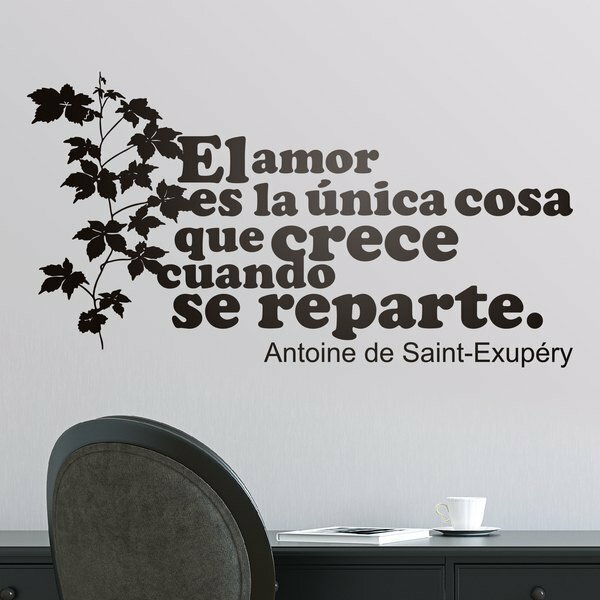 Size: 56 x 15 cm.